Elbe is also known by its Czech name Labe. Elbe is the river basin of the North Sea, which begins in the Czech Republic. Its main course is in Germany. Both names of the river have the same origin. In antiquity, the Greeks, Celts and Romans called the river Albis, and the ancient Germans called it Albia. These names are similar to the Latin word Albus, which means light. There is a hypothesis that the name derives from the ancient Scandinavian word Elfr, which means river. This hypothesis is often rejected because Elbe has no direct connection with the Scandinavian countries. The name Elbe is likely to have come from the Indo-European root Albho, which means white. From a historical perspective, Elbe has always been an important frontier in European geography. The Romans called the river Albus. They once tried to move the eastern borders of the empire to the Elbe and were defeated in battle in the ninth year of the new era. In the Middle Ages, Elbe passed the eastern boundary of the empire of Charlemagne. In 1945, shortly before the end of World War II, troops of the Third Reich were caught between the armies of the allied forces in the west and Soviet forces that in the east. On April twenty-fifth, the two forces met at the Elbe and the event became known as the Meeting of the Elbe. After the war, Elbe was crossed by the borders between East and West Germany. In August 2002 there was a great flood, in the upper reaches of the Elbe. Tens of thousands of people were evacuated, about thirty thousand houses were destroyed and damaged by water. Twenty people died, about seven hundred and fifty kilometers streets, five hundred and forty kilometers of railway and one hundred and eighty bridges were completely destroyed. For many years, the Elbe was considered contaminated and therefore unsuitable for bathing. Lately, however, programs were implemented, to restore the ecology of the river. Elbe begins at fourteen hundred meters altitude in the area known as the Giant Mountains, in northern Czech Republic. 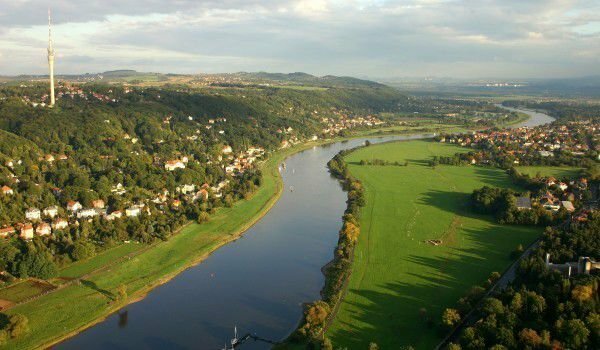 Among the streams that form the Elbe, the most famous is White Elbe. Elbe River forms a waterfall that falls from a height of one hundred ninety-seven meters. After the Czech Republic, Elbe flows through Bohemia. After crossing the Czech-German border, the river heads towards the northwest, to the North Sea. 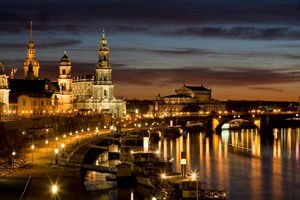 The river passes through Dresden and along Meißen, then along the border, which for years had earmarked East from West Germany. Then, it passes Torgau, Wittenberg, Dessau, Magdeburg, Wittenberge and Hamburg on its way. Then, into Elbe flow the rivers Schwarze Elster, Havel and Elde. Magdeburg has a viaduct that passes above the Elbe and over her shores. Elbe also reaches Hamburg. While passing through the town, Elbe has many branching streams, such as Dove Elbe, Gose Elbe, Köhlbrand, Norderelbe, Reiherstieg and Süderelbe.